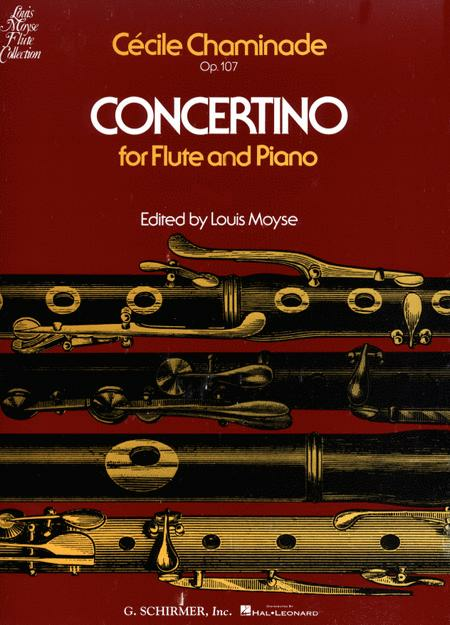 For Flute & Piano. Composed by Cecile Chaminade (1857-1944). 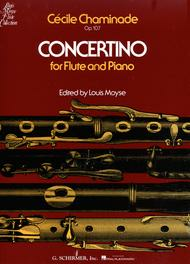 Arranged by Louis Moyse. Woodwind Solo. French, Classical, Contemporary. 12 pages. G. Schirmer #ST46483. Published by G. Schirmer (HL.50290720). ISBN 1540037029. 9x12 inches. Edited by Louis Moyse. Not only is this edition beautifully edited, I found the customer service outstandingly helpful, efficient and sympathetic even in face of Christmas delivery problems. August 06, 2011 Amazing Solo!!! that every time I play a new part of it I feel accomplished! I love playing this piece. It's a challenge but it is so beautiful. I think every flautist should learn this piece. You won't be sorry if you choose it. Full with low-med-high registers and with half notes, virtuose etudes, u have to pay attention to the dynamics too. Not an easy piece, takes time to learn it. satisfied as you pour out your heart to your audience through this expressive and meaningful music.